100 Free Website Traffic Tips | Get 100 free website traffic tips for your website. New tips posted regularly! Subscribe! 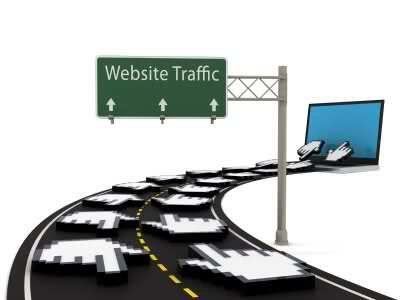 Get 100 free website traffic tips for your website. New tips posted regularly! Subscribe! This is not such a direct website traffic tip like my other tips. But it’s probably one of the most important tips you could learn in getting free website traffic for your site. It’s all good having tips that you can follow step-by-step to get the traffic but unless you have a plan of action and follow that to the t then you will not succeed in achieving your goals. At least that’s kind of how I see it. I believe there’s no point in doing lots of things all at the same time. But rather doing one thing at a time until it’s done so I can move on to the next thing that needs doing. The same can apply when you need to do things online for your website or business to get more traffic to your site. You probably know a handful of methods to get free website traffic off the top of your head by now and no doubt have lots of projects running on your PC for different link building methods going. I would imagine a large number of people go in and out of jobs they need to do and don’t really achieve big results in one particular area because they are not fully concentrating on it but putting their time and energies into other things as well. Persistence Defeats Resistance = Achieve Your Goals! When it comes to achieving results persistence defeats resistance; you can achieve your goals if you work hard at it and focus your time and efforts into that one area. This includes building traffic to your site using free traffic building methods. You must have a plan of action in mind. A marketing strategy or blueprint that you can follow similar to a check list of things you need to do if you will and this will increase your production levels! So how to come up with a marketing plan? Brainstorm! Grab a pen and a pad and write it down! Honestly, this seems to help much more than just thinking it in your head. Create a list of things you need to do and then tick them off when they are done. You will be surprised at how much you can achieve! Start Big and End Small or Start Small and End Big? If you’re like me you like to do your small jobs first before you do your big ones right? Well sometimes the biggest jobs need doing first but often you can’t do them until you do the small jobs first. So start with the small jobs first and don’t even think about starting on the bigger jobs until all the small steps are done first! Of course the complete opposite may work for you but the point is to complete one job at a time. So if you want to build a lot of free traffic to your site and you know there are a lot of ways to do it but don’t know which one way to start on or which one way to stick with then write it down. Some people like myself save jobs in spreadsheets on my PC and allocate and even outsource jobs to other people on freelancer and microjob sites. But the best thing is to write it down first so you can mess up, cross out things and re-order them. List out all the things you want to do in order that you would most prefer or need to do them in. Then list out all the steps, step-by-step that you need to take to get that job done. You could even create calendar events and attach a note with the jobs that need completing for that day and the steps needed. Here’s what 5 traditional marketing strategies might look like for most webmasters. Check email and respond/take action where needed. Check recent website stats/visitor activity etc. Create/Write article and submit to top 25 article directories. Tweet/Pin/Facebook any approved article URLs etc. Check website visit stats etc. Comment on at least 10 blogs in the same niche as website is in. Bookmark a website post to at least top 10 bookmarking sites. Post some comments on at least 10 blogs in same niche as website is in. Find a high paying affiliate offer on some affiliate site. Create a sales article and send to email subscriber list they have. Post at least 5 replies on at least 5 high traffic forums to attain sig clicks and more subscribers. Create a new website post and tweet, bookmark it etc. Search for similar blogs in same niche and contact owners to see if they allow guest posting. Post any articles/posts you have made/created/backed up to any new blogs you got guest post access on. Remember these are just 5 strategies and and can even be used daily with a new strategy or plan for each day. If you use your imagination you can come up with your own quite easily. Of course you can find 100 free website traffic tips here so you’ll never run short! I hope you like this marketing strategy plan of action blueprint. I hope it inspires you and helps you to achieve your traffic goals. Please subscribe for more in the future or follow me on Twitter or our Facebook fan page. Links on the right. Words are thoughts and we can’t think without them. Words are knowledge and knowledge is power. Do you know that by being able to use words adequately you can rule nations, end wars, heal diseases and dominate the search engines for free website traffic? It’s true, read on to find out how..
You see we live with words. We couldn’t live without them. Words are VERY powerful. With words, wars are won with generals sending words to their soldiers fighting on the battlefields to tell them of the enemies position. Words are used by the president of the USA every day to communicate messages back and forth to other diplomats and governmental powers. Words are used by doctors to explain medical conditions and diagnose sound recovery treatments for their patients. So this is what words are important. Words are used online every day. People use words to search for something and find it in Google. You probably typed a word(s) to find this very blog? Words are used by search engines to find the material or content that you required. You type the word and the search engine scours all its indexed websites to return sites that a) have those words on the page and b) are being linked to from other sites using those words in the anchor text. In this case that article that you submitted. So with this knowledge we can use words, which are freely available and are free for anyone to use. But we will want to use the right words of course. For instance, lets say your site is on twisty blue widgets say http://www.twistybluewidgets.com for example. You are going to want to have some articles on that site with those words in the text somewhere. This is basic on-page SEO but make sure that you include these main keywords in your sites Title, Description and keywords or categories. There is something that is known as LSI semantics. It’s the art of knowing how many times to include your main keywords in your content and is basically common sense to most webmasters following Google’s Webmaster Guidelines. When it comes to webmaster guidelines you might also like to check out the Top 50 Webmaster Guidelines by #Hobo_web. Words Words Words. We love them! Webmasters love them! Search engines LOVE them! You see, search engines love fresh new content to crawl. It’s what they do. They are constantly searching for and indexing new content found on the web. And when it finds somewhere that keeps supplying fresh content all the time it loves that too. And people love this also. People love to read fresh new material with a different perspective. Nobody wants to read old dribble from last year. Can you imagine if no one ever wrote any new articles to read? There would be no news sites. No reviews written. Nothing! Just the same old content everywhere. So this is why people and search engines love content. Webmasters love new and fresh content for these reasons also. So they can put new fresh content on their site and have the search engines crawl and index their sites new content which will in turn be given to a searcher in their results which equals free website traffic for that webmaster. Webmasters love it when people submit new fresh articles to the article directories so they can take those articles and post them on their own sites. This is a quick and easy way of getting relevant content for your own site. You search the article directory for say “blue widgets” and you are given a list of recently posted articles that have those words within them somewhere. You can then post those articles to your own site provided you retain the authors resource links back to their own site. If you don’t mind this then you can get the content otherwise you would need to come up with other ways of generating content for your site. That involves either writing it yourself or outsourcing the job to someone else. Many webmasters have enjoyed continued success by using nothing but article marketing as their primary traffic promotion campaign. Simply said, article marketing works. It works because the internet was built on this and remains built on this. Search engines rank sites based on many things we know such as on-page SEO and off-page SEO which included your backlink count. And article marketing can supply you with an endless amount of new backlinks as new webmasters take your submitted articles and place them on their new sites. On top of this, articles you submit to the top article sites will naturally rank on their own through that article site alone. This will bring in direct targeted traffic for years to come because the best article sites list have a very long shelf life. Owners of such directories are usually making a good income from those sites so will keep them running for as long as possible. For as long as there are a need for words. And that will probably be for a long foreseeable time. So How To Go About Article Marketing? Quite simply. By submitting articles constantly to all the top article directories.Article marketing works best when done consistently. This means at least once a month. But better is around once a week. Sometimes more. Some people post new articles every day and this can work for a lot of people but it’s not always necessary and can be seen as over self-promotion and not “natural” by search engines because most people only have the time in the day to write and submit one article. Some people only have the time to do it once or twice a week but IMO this is what works best. So article marketing for free website traffic will work for you. Provided you put the work in. You can either do the writing and submitting yourself or outsource this whole job to someone on some freelancer site for a few months. Possibly paying them on a pro-rata basis when work is complete. However, again this is not always necessary for the moderate blogger/webmaster who only has one or two sites to promote this way. You will want to have informative, useful articles that are evergreen and timeless. Make sure they are relevant to your site and offer something interesting to the reader but make sure not to give away too much information so they have to visit your site to find out more. Make sure you’ve got articles backup up and saved that you can find to use whenever you need them. Have someone write you 10 or 20 articles on fiverr.com or something on your subject/topic that you can use to post every day/week for a few months. Some article directories get scraped/searched by webmasters more than others. Some article directories are not really worth submitting to at all. Some have no pagerank, no authority and are not crawled by search engines frequently. IMHO I do not submit my high quality articles to low PR, junk article directories. And I don’t build links to my main site through articles using them either. But low PR, low quality article sites are still useful for building backlinks to other things like tier3 backlinks etc. Now you are armed with this information. I would like to share with you the best article directories actually worth submitting to today. These are directories that are searched/scraped by webmasters the most for fresh new content and directories that are crawled by search engines the most. Twitter is one of the most well known and most used websites on the internet for personal and business use. Twitter can be thought of as an extension to your business or website and as an avenue for getting some website traffic from. Twitter receives thousands of different people visiting it every day for many different reasons. One of the main reasons is for the traffic that Twitter can send to your site. So if you have a website or business website then creating a Twitter account and getting followers can pay divendends to your business or website. Some people have tens of thousands of followers and can send thousands of people to a link in a “tweet” in minutes at any time of day. Twitter is also a good way to build credibility to your site or business and shows that you’re active online. But Twitter can require some daily input from you. Simply logging in daily and following like minded people in the same niche as you can help. Comment on their tweets and tweet all your sites posts and pages or your site products and services etc. Try to login daily and do this and create some backlinks to your Twitter account and you will begin getting followers and guaranteed website traffic from it. Make sure when you create your Twitter account that you edit and update your profile. Put your contact details or business details and make sure you put your website link on your Twitter profile and you will eventually start getting hits to your site from Twitter. 2. Update and customise your profile. 3. Follow some people in your niche/industry. 4. Login from time to time and tweet stuff/reply to other peoples tweets etc. 5. Build some links to your Twitter URL. 6. Keep it going for several months and watch as the traffic comes in. Some people do this enough until they get a little traffic. Some people keep at it and can really ween a lot of traffic from Twitter. The truth is, the more you work at it, the more you can get. But it doesn’t just stop with Twitter. Twitter is not the only one-of-a-kind site. There are many other sites similar to Twitter that you can use to get free website traffic from. In fact some people know this already and sign up to many of these mini-social networking sites and do the same 6 steps above on all the sites to bring in even more traffic! Hello dear esteemed blog reader. Thanks for visiting my blog here for 100 free website traffic tips. I hope you find it useful for your site or business. If so please subscribe in a reader or by email to be notified of new website traffic tips when we post them! We will try to post a new tip every day or at least once a week so that gives you plenty of time to apply the method to your own site or blog and watch the traffic come pouring in! To start us off, here is Free Traffic Tip #1. Join Blog Directories and Blog Directories List. What are Blog Directories? 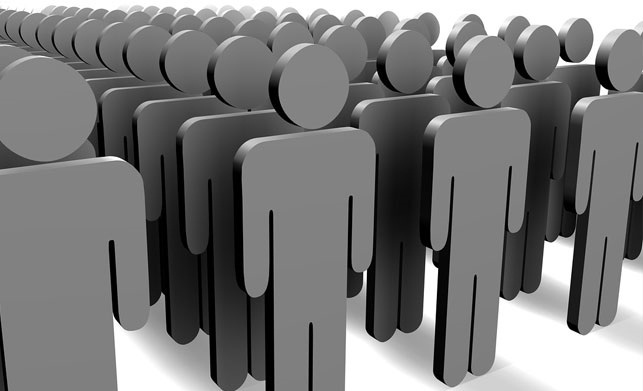 Blog Directories are hugely overlooked by many webmasters or bloggers today. They have been around for a long time and have some very good search engine authority. Not to mention receive lots and lots of daily traffic from bloggers, a) adding their own blogs or b) browsing other peoples blogs and visiting them from that directory. So you can definitely ween free website traffic from a Blog Directory! How Do Blog Directories Work? Blog Directories allow you to add your blog to their directory and then often host your blogs posts via your blog submission page. Most have a blog voting system of ranking blogs by popularity where the most popular blog with the most votes gets the most traffic. How To Find Blog Directories? 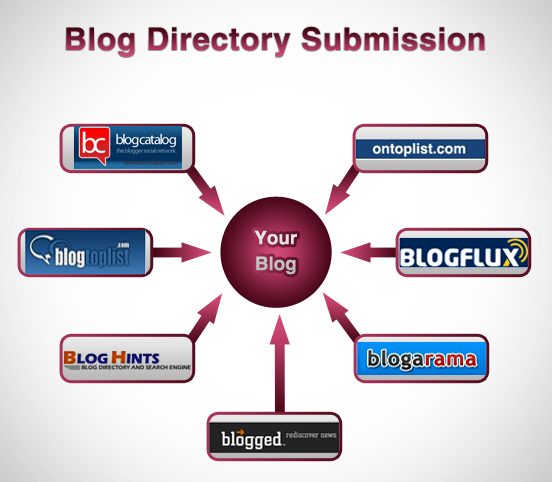 You can find Blog Directories online by searching for “Blog Directory List” etc etc. Then simply start registering to each site at a time. Some directories require you to add a small button or tracking code to your blog which means an outgoing link but the benefit the directory submission can bring in far outweighs that small factor. Here is a good list of blog directories to join. As you make a new post on your blog, this will be sent to all the Blog Directories where your blog is hosted. If you already have many posts you should see them crawled more but also start to bring in some traffic from where those directories are being crawled by people who found them through the search engines. So there we have free website traffic tip number 1. We will be posting many more like this over the coming days/weeks/months. I don’t think I’m supposed to “Press” this myself but tallyho! Get 100 free website traffic tips for your blog or site. Get a new tip every day! Apply the tip to your site and watch the traffic come pouring in! All the tips and methods posted are confirmed for increasing hits and visitors to your site. Find ways to boost your traffic and increase your sales without search engines like Google! 100 FREE Web Traffic Tips Daily To Boost Website Visitors. Growing or increasing website traffic to your site is exactly what your website or blog requires to survive, to serve its purpose. This is the whole purpose you started your web site right? So now you will have your blog launched and established its time to get some website visitors to it! These tips will help you to obtain a good amount of free website traffic for your site. But first of all I want you to understand that when I claim “free” I simply imply free of cost; nevertheless, you will likely to be required to perform a little bit of “ahem” manual labor your own self to see the serious site traffic come pouring into your website. Absolutely nothing in life which is worth getting is ever that simple. Thank goodness on the subject of boosting website visitors to your website as these guidelines presented are arranged for you so that all you should do is, well, do them! And provided that you do follow these ways to your website I then by myself PROMISE you will boost website visitors! To get the free traffic what you need to do is check out the tip, check the tactic and then apply it on your own blog. Do it as far as you can. Make sure you exercise all the techniques to your website and sit back and see as the website traffic comes pouring into your website! It is actually proven to materialize so long as you do apply the methods. People have been utilizing these very tactics for many years to grow traffic on their website. And whenever search engines like google remove your site from their listing for whatever ridiculous reason they come up with, it will not even matter since you will now have website traffic arriving in from other types of websites on daily basis. A few of the website traffic tricks you will find are reasonably very simple. Such as signing up to some actual website or undertaking some thing which will require some sort of regular input from yourself. No matter what it can be, you will notice that the procedure really should not too difficult to achieve and a thing you may enjoy getting into also. For those times you wish to have all the website traffic the online world can bring. Want to have a chuckle as you go along. Then check out more details about these 100 free website traffic tips that has a free daily traffic tip by looking at the blog in the resource area underneath. Thanks for your time for reading. We will be posting these tips for you here as well! 🙂 For now you can find out tips on how to increase your website traffic for your website by seeing our Hundred Easy Website Traffic Steps. Check out the Traffic For Your Site weblog for even more traffic boosting tips. Situated on the weblog at http://traffic4yoursite.blogspot.co.uk you may subscribe in any reader and / or by email address to be informed each time a fresh web traffic tip is issued.